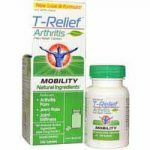 T-Relief Arthritis Review – Is This Product Safe To Use? T-Relief Arthritis is a homeopathic product designed to offer joint care. This product is touted as an effective remedy to joint pain and symptoms associated with arthritis. The product is available in several format such as tablets, liquid and gel but for the purpose of this review, we will consider the tablet form which is available for $10 excluding shipping from the official store. What is the Company Behind T-Relief Arthritis? T-Relief Arthritis is a dietary supplement that is manufactured towards supporting healthy joints and muscles. The product use some not so common ingredients and this is perhaps the main reason why some people shy away from using this product. The manufacturers however insist that this product is made from all natural ingredients that are not only say but effective too. They claim that the product is the result of an intense research and clinical studies that have been conducted over the years. The company behind this product is called MediNatura. This is a company that is known to employ homeopathy to all its products. They claim to have a near pharmaceutical grade facility where all their products are produced from. What are the Ingredients Used in T-Relief Arthritis? 2X means the dilution has 1 part of a 1X tincture with 9 parts diluent and so on. This product take a homeopathic path to bring relief to pain. This is a technic of treating ailments with a small amount of remedies which when used in large amounts in healthy people produce symptoms that are similar to those of the condition being treated. This mode of treatment was first used in Germany and is now common in Joint care. T-Relief Arthritis aims at restoring the body’s ability to maintain healthy joints and muscles. This made possible by equipping the body with the nutrients and protecting it from harmful elements and pathogens. This product might take up to six weeks to show positive results. Users are advised to be patient with the product. What are the Pros of T-Relief Arthritis? What are the Cons of T-Relief Arthritis? When first used, you should take one tablet every 30-60 minutes until the symptoms lessen. All the same, you should not exceed 12 tablets every day. For children below 18 years, you should consult your caregiver for the exact dosage. For maintenance purposes, adults should take 3 tablets daily. This translates to a tablet every 4-6 hours. Again, for children below the age of 18 years, consult your caregiver. The tablets should be put in the mouth and allowed to dissolve in the mouth. Is T-Relief Arthritis a Scam? This product is not meant to cure any known ailments. It is intended to be used only to rehabilitate ailing joints and promote nutrient intake in the joints. When correctly used for the intended purposes, this product cannot be described as a scam. It is worth noting that people respond differently to supplements and thus T-Relief Arthritis might not work as advertised on the official website. Despite the product not having any of the popular ingredients, it has received a decent following. It is highly recommended that you consult your caregiver before using this product. You should not take this product if you have any known condition or taking other medication since it is relatively new and thus it has not been evaluated adequately.